Campagnolo bike component catalogues often contain tantalising images of their other, non-cycling products. So I decided to include this catalogue of Camapgnolo motor-car wheels. They were made of Magnesium - but for some reason Camapgnolo never saw fit to use this material in their bike components. 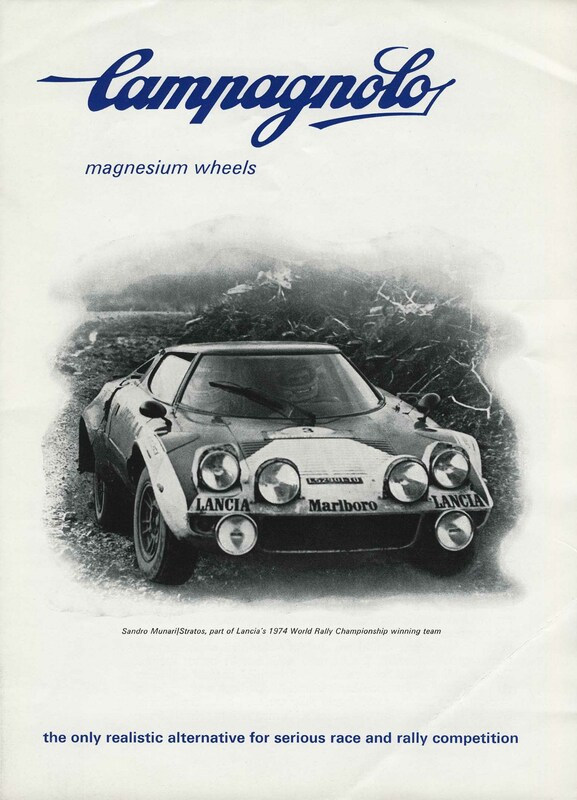 You can't beat a Lancia Stratos rally car, though. Except, perhaps, with a Delta HF Integrale.